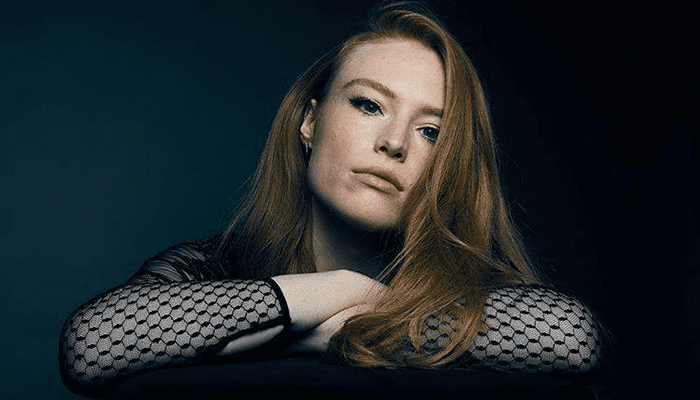 With a top 10 single and a highly anticipated album on the way, Freya Ridings has become a force to be reckoned with. The immensely talented singer, guitarist, and pianist from London has been making waves since the release of her debut single “Blackout” in 2017. Since then, she has amassed over 75 million global streams and spent over 12 weeks on Radio 1 UK. Before her rise to fame, the singer-songwriter learned to play the guitar from her father, Richard Ridings, who is a British actor. He’s been featured in movies such as “The Brothers Grimm” and “Rise of the Planet of the Apes”. At the age of 16, Freya refined her skills at the BRIT School for Performing Arts and Technology in England, a school whose alumni include other prominent British singer/songwriters such as Amy Winehouse and Adele. Listen to this live performance of Freya’s song “Unconditional” and you’ll see that she has more in common with her fellow alumni than just their alma mater. Ridings’ single “Lost Without You” took the world by storm in 2017. It garnered critical acclaim was a huge commercial success, eventually becoming certified Gold by the British Phonographic Industry in December 2018. Listen to her performing her hit single live at the Hackney Round Chapel (below) and you’ll see why we’re so excited about Freya. Her voice is fierce and unwavering, and her piano playing is just as impressive. Freya recently took to Twitter to celebrate the three-year anniversary of playing “Lost Without You” for the first time at an open-mic night. She said that she was “unsure” if she would ever release it, Thankfully, she did! It’s amazing how much can change in just a few years. “Lost Without You” cemented Freya Ridings place amongst the most highly regarded young artists in the world. It is the first single of her anticipated (and currently untitled) EP, which is scheduled to be released sometime in 2019. It is available for pre-order here.